Delivering a more sustainable future for all requires action by all – Governments, corporations, citizens, consumers, workers, investors and educators. The Abu Dhabi declaration represents an important step in bringing diverse minds together in pursuit of a common goal – a world that is farming, eating and living sustainably. 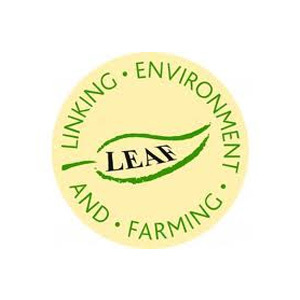 LEAF (Linking Environment And Farming) is a leading global organization delivering more sustainable food and farming. We work with farmers, the food industry, scientists and consumers, to inspire and enable sustainable farming that is prosperous, enriches the environment and engages local communities. LEAF promotes Integrated Farm Management (IFM), a whole farm business approach that delivers sustainable farming. The LEAF Marque is an assurance system recognizing sustainably farmed products, based on LEAF’s Integrated Farm Management (IFM) principles. All LEAF Marque certified farms are independently inspected to ensure they meet stringent criteria to demonstrate that food is being produced to high environmental standards across the whole farm.